In Detroit there’s 8 mile Road, in Los Angeles there’s Crenshaw, and then there’s Miami Avenue in Miami. These are considered roads that both divide and connect disparate communities. Some avenues are equated with hard luck, others are known for commerce. 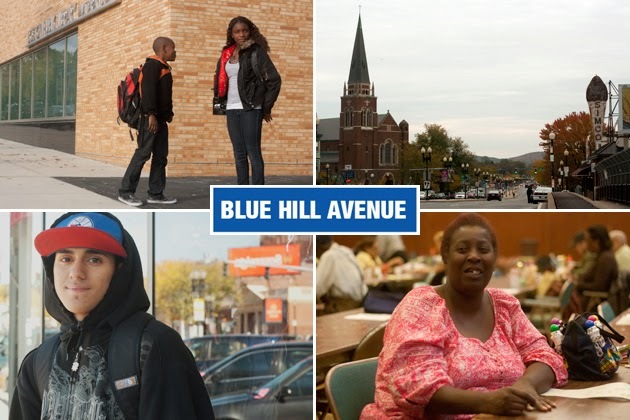 In Boston, there’s Blue Hill Avenue. Many residents who live on and near it argue that the corridor—which runs from Roxbury to Mattapan and through Milton—is unfairly tainted with a reputation for crime. They point to a thriving commercial sector and new projects on the way as evidence of the community’s revitalization.